Maddie used to live in Washington D.C. with her father, who was head of the Secret Service. Her best friend was the President’s son, Logan. Everything changed when a group of terrorists infiltrated the White House to try and take the first lady and were gunned down by Secret Service, injuring Maddie’s father and Logan in the process. After the incident, Maddie’s dad quit his job and moved the two of them to very remote Alaska where there was literally no one else around. Everyday Maddie wrote Logan letters that were never answered. Six years later Logan lands in a bit of trouble and his punishment is to get sent to Alaska to be safe with Maddie. Logan finds a very cold welcome in Alaska as Maddie is very upset with him and there are indeed people out there still trying to hurt him and his family. Shortly after he arrives he and Maddie are attacked in the woods and kidnapped. What does this person want and can they manage to get away before the big storm hits? Can Maddie make peace long enough to try and save Logan? There are many aspects of survival in this story that Maddie has learned while living in Alaska that come into play. The book is very fast paced and would appeal to reluctant readers who would like a quick read with many plot twists. Fans of Carter’s other series’ such as the Gallagher Girls might find this one a little one note by comparison. The characters do not seem to be as developed as some of Carter’s other series and many plot reveals seem rushed and unsurprising. In 1845 Sammy, a Chinese American teenager flees her town after her father unexpectedly dies and she realizes there is no one else she can trust. She’s hoping to chase down her father’s business partner who recently departed for California on the Oregan Trail. She convinces Annamae, an African American slave to join her on the run. They disguise themselves as boys since the Oregan trail can be so dangerous with gangs and other threats. Annamae is hoping to find her brother who was sold separately from her and she has not seen for many years. Even as they befriend three young men on the trip and manage to avoid thieves, disease, and even wild animal attacks they know eventually they will have to go their separate ways and at this time they are the closest thing to family each of them has. Can they find a way to survive the Oregan Trail? Will they find what they are looking for? This historical fiction book tackles an area that students have probably never seen before and that is what it would have been like to be on the Oregan trail at all, but also for those people who were labeled as minorities at the time. How would that make life harder for them than everyone else? How would they know who they could trust? Sammy and Annamae have a really difficult road ahead of them, but they stick together and never give up which helps them to survive. Even though it is a historical fiction book I think fans of survival stories would also enjoy this title. The characters are multi-dimensional and well developed which helps the readers truly understand their motivations. Recommended. Sarah has lived in one exotic location after another her entire life since her parents are both scientists and often move to where they can conduct research. After the recent passing of Sarah’s mother, they are still grieving but decide to carry on with a previously scheduled educational safari so that they can earn some extra money. Shortly after the five teenagers arrive, Sarah’s dad is called away to stop some poachers and she is left to entertain them in the middle of a semi-desert. Hours go by and Sarah’s dad does not return and finally she receives a very panicked call over the radio from a frantic man who sounds like her father claiming it was a setup and he was being chased. The call cuts out with the sound of gunshots. Sarah and the other five teenagers are alone, with little food, and no transportation. They decide to go looking for help and must rely on Sarah’s survival skills in order to survive. They eventually find a silver lion who tries to attack them and Sarah knows something unnatural is going on and more than likely whomever created that monstrosity would do anything to keep it quiet. Can Sarah get the others to safety? Will she ever find out what happened to her dad? Where did the silver lion come from and is there some illegal experimenting going on? Fans of survival books will enjoy this title. There are multiple scenes in which one or more of the teens is in serious danger due to some natural wildlife threat, like snakes. However, once they uncover the silver lion they face many dangers from humans as well as the people behind the altered animal want desperately to contain the situation at all costs. 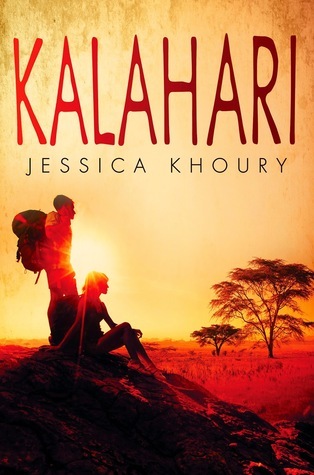 The characters are sympathetic and relatable as they truly just try to just survive this very unexpected situation and in the process must face the many reasons they all wanted to escape to the Kalahari in the first place. Rio and her twin, Bay, were born in the underwater town of Atlantia and it is now their chosen time to decide if they wish to stay below or go up to the surface for the rest of their lives. People in the underwater city believe that life above ground is dangerous, labor intensive, and fairly short while residents of Atlantia are believed to have an easy life where most people live a very long time. Unfortunately, their mother, Oceana, was recently found dead and many suspect foul play. Rio has always dreamed of going above, but now that their mother is gone she has promised Bay she will stay with her down below. All decisions are final in this ceremony and there is no going back and forth allowed. Rio is shocked when Bay ends up leaving her and choosing to live above the water, but she is ushered away before Rio has a chance to ask her why. She does have time to utter one word that alerts those near to her of what she truly is, which is a siren. Her mother has trained her to keep that truth a secret for reasons unbeknownst to Rio. Can Rio survive in the one place she has wanted to leave her entire life without her mother or sister? Why would her sister choose to leave after making her promise they would stay together forever? Is it possible to bridge the two societies together? This novel is fresh and interesting right from the beginning. It feels like yet another futuristic story, but the setting and characters quickly help you to forget all of that as you cannot help but get immersed in the story. 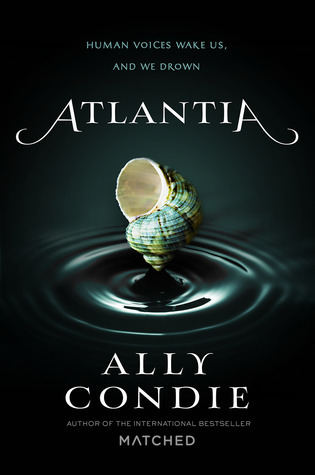 Rio has many plot details to figure out in order to find out the truth of her family and Atlantia itself. While many great characters are introduced, it does take Rio awhile to discern whom she can and cannot trust which makes the journey more interesting for the reader. It also appears that this is going to be a stand alone novel which is refreshing in a world where every book seems to have three sequels. Recommended for students who enjoy fantasy.